This is my sixth recipe posted, the fifth of which contains garlic (the only exception being the chocolate chip cookies…and I’m pretty sure garlic will never find its way into the Dessert section). I’m not sure what that says about me, my cooking, or my breath. My immune system, however, is usually quite hearty. This is possibly the easiest thing I make, yet it always elicits rave reviews from my olive loving friends. Serve with a thinly sliced baguette and voila! Simple little addition to your appetizer offerings. Pulse all ingredients except olive oil in food processor until well combined but still a bit chunky. 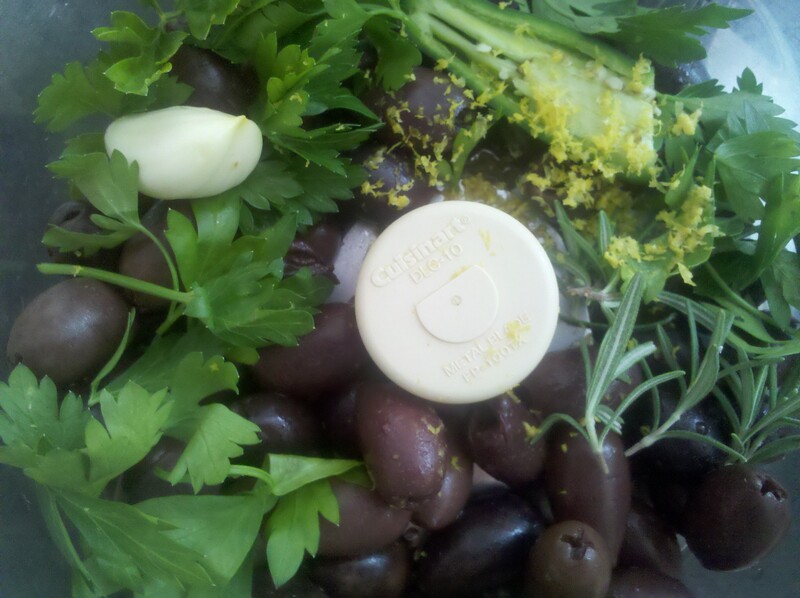 With food processor running, slowly drizzle olive oil until desired consistency is achieved. 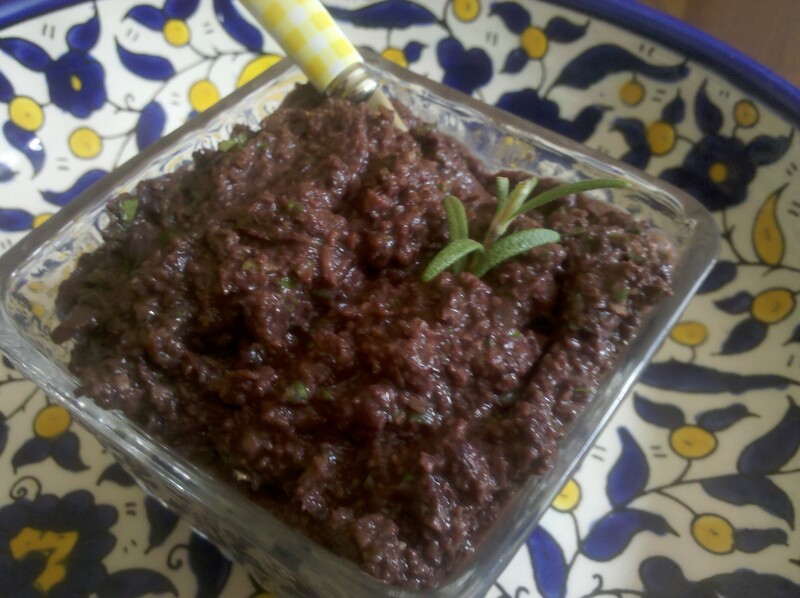 This entry was posted in Appetizers and tagged appetizers, easy, olives, tapenade by Mom Mom's Apron. Bookmark the permalink.